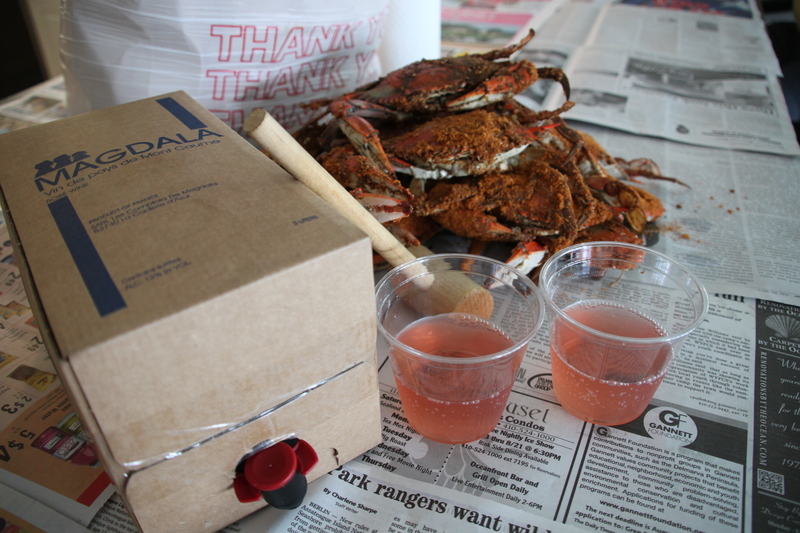 Maryland blue crabs and some boxed love. The 2010 Les Comptoirs de Magdala Rosé, a Vin de Pays from the Mont Caume region of Provence is my summer go-to wine. A blend of Grenache and Cinsault, it’s light-bodied, fruity and crisp. The producer is organic and biodynamic. Best of all, you get 3L for around $30. For those of you on the LES, September Wines & Spirits keeps a few of these cold. Looking for some other boxed wine suggestions? Eric Asimov just did a piece on them yesterday. I’ve touched on the From the Tank wines and the Picpoul before. The aftermath. 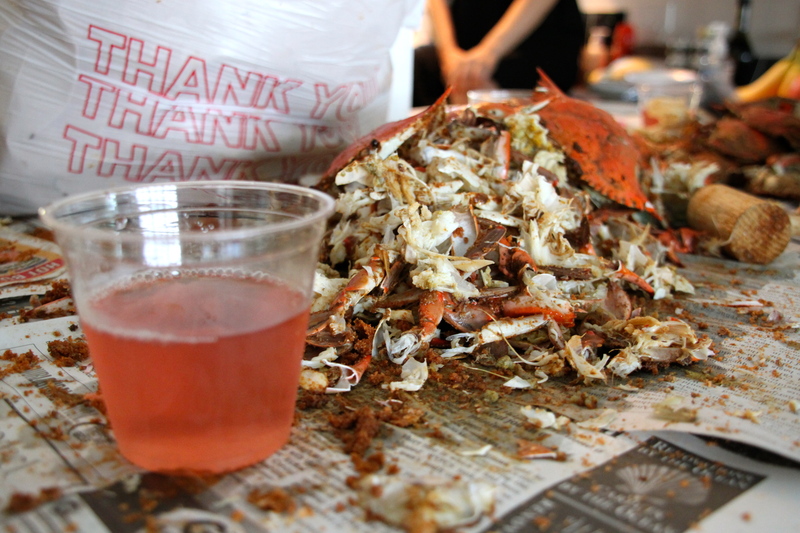 The wine outlasted the crabs.